But by giving the prize only to Kip Thorne, Rainer Weiss and Barry Barish, the prize committee has ignored the contributions of 1,000+ scientists around the world who helped build the detectors and analyse the data. 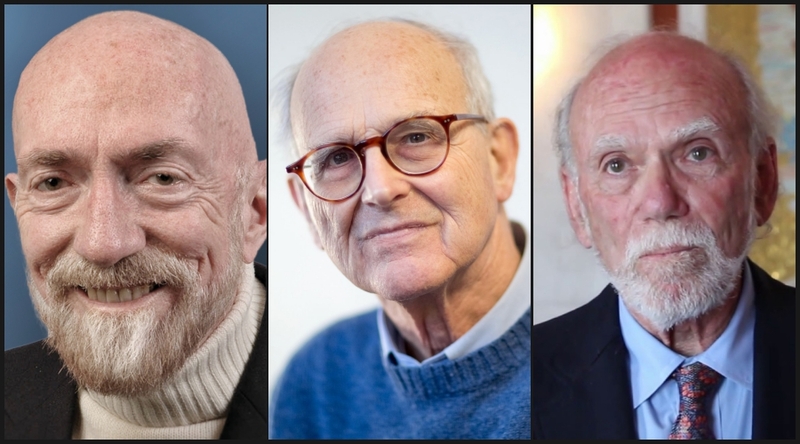 In an announcement that surprised no one, the Nobel Prize for physics for 2017 has been awarded to Kip Thorne, Rainer Weiss and Barry Barish, three of the many scientists that developed LIGO, the instrument that detects gravitational waves from colliding blackholes. Rainer Weiss will receive one half of the prize while Kip Thorne and Barry Barish will receive the other half. LIGO – or the Laser Interferometer Gravitational-Wave Observatories – is actually a pair of detectors both located in the US. It announced its first direct detection of gravitational waves in February 2016. Because the deadline to nominate people for the Nobel Prize for physics is January 31 every year, Thorne and Weiss were thought to have been passed over for the prize last year. Woit added a suspicion that Nobel Committee’s “tradition of not honouring collaborations will continue” – and it has – although the citation acknowledges that the three are members of the LIGO and VIRGO collaborations. So far, LIGO has detected four gravitational-wave signals, all from pairs of colliding blackholes billions of lightyears away. The fourth detection was announced on September 28 along with the VIRGO detector in Italy. Apart from validating Albert Einstein’s ideas of gravity, LIGO has also helped unearth a class of blackholes (weighing between twenty and a million times as much as the Sun) astronomers didn’t think existed before. The gravity of massive objects in the universe deforms the space-time around them. … However, it was Einstein’s theory of general relativity that predicted that when massive objects [like black holes] accelerate, they set off disturbances in space-time that propagate outward, and throughout the universe. … As the waves move through the continuum, they temporarily distort distances in the regions they pass through. The LIGO project was set up in 1992 for detecting these passing distortions, and upgraded to a more sensitive ‘advanced’ avatar by 2014. Each of its observatories has a common design: two long tunnels connected at a vertex, shaped like an ‘L’. A source at the vertex fires a laser pulse down each tunnel and waits for them to be reflected back by a mirror at the end. When the pulses reconvene, they form an interference pattern registered by a detector. In the absence of a gravitational wave, the interference is fully destructive and the detector draws a blank. When a gravitational wave passes through LIGO, it temporarily (and alternately) contracts and expands the length of the arms by a tiny amount. As a result, one of the laser pulses ends up travelling a longer distance than the other. When they reconvene, one pulse is slightly out of step relative to the other and their interference isn’t destructive. The detector lodges an interference pattern, and a gravitational wave is said to have been detected. There were a few key people involved in designing and building LIGO, as well as putting together the teams of people who would work on it. Apart from Barish, Thorne and Weiss, there was was Ronald Drever. However, he passed away in March 2017; the Nobel Prizes are very rarely awarded posthumously. Kip Thorne is the more known of the winners, having been Christopher Nolan’s science advisor for the film Interstellar (2014). Among physicists, Thorne is also noted for his contributions to astrophysics and numerical relativity – the latter a field of science that uses complex computer simulations modelled on Einstein’s theories of relativity to understand how gravitational waves behave. Thorne’s involvement with LIGO dates back to the early 1970s, when he initiated efforts at the California Institute of Technology to check if Rainer Weiss’s interferometer design could be used to detect gravitational waves (it could; both LIGO and VIRGO use it). Drever was responsible for constructing some of the earliest prototypes in the 1970s and 1980s. However, Drever was removed from LIGO’s development in 1992 after he couldn’t organise the project efficiently. In 1994, Barry Barish took over and ensured the project was completed by 1997, with a $395 million grant from the US National Science Foundation. This year’s Nobel Prize is interesting for a few reasons. For example, it has been awarded for a technological feat, which doesn’t happen often. 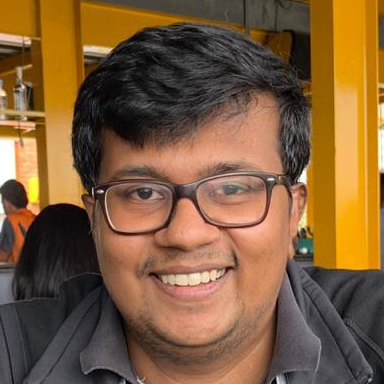 For another, it stands for one of the quickest prizes awarded – in recognition for an accomplishment validated only two years ago (the first gravitational waves were detected in September 2015). The average span of time between an achievement and receiving the prize is otherwise 20 years or more. At the same time, the average age of the prize’s recipients has increased: Barish is 81, Thorne is 77 and Weiss is 85, and the average age of recipients as of 2016 was 55 years. And this is a problem. By the time they’re 55 years old, most scientists have secured all the funding they could need, as well as institutional affiliations and the like. If the prize is awarded earlier, then they can better put to use the 1.1 million the prize comes with – such as funding their own work or rewarding students who help them carry it out. 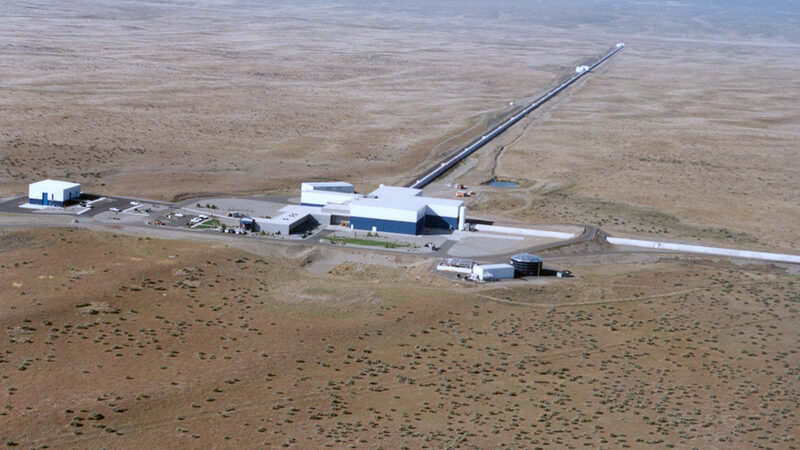 LIGO itself had been in development for over two decades, and is the product of the work of over 1,000 scientists and engineers, with more than $600 million in investments. Its current data analysis team is also widespread, drawing on the continuous involvement of over 1,100 scientists from 103 institutions in 18 countries. Many scientists feel that awarding the prize to Barish, Thorne and Weiss alone, as a result, is to ignore the bulk of the efforts without which LIGO wouldn’t exist. It’s one significant way in which the Nobel Prizes have been lagging behind reality. Apart from the tremendous delay between an achievement and the recognition, the Nobel Prizes are either awarded to organisations or three individuals at the most. However, modern science is increasingly highly collaborative, involving both human and monetary investments from multiple countries. And because of the specialised nature of these undertakings, it has been increasingly difficult to trace the origins of an invention or a discovery to single groups of people or isolated events. But by giving the prize only to Barish, Thorne and Weiss, the Nobel Committee has ignored all their efforts. The committee did something similar in 2013, when it awarded the Nobel Prize for physics to Francois Englert and Peter Higgs for theoretical research in the 1960s that predicted the existence of an elementary particle, since called the Higgs boson. The particle’s discovery was announced by scientists at the Large Hadron Collider (LHC) in July 2012. However, the collider itself took a decade to build, with the help of over 10,000 scientists from 100 countries, and a total investment of $3.4 billion. It wasn’t mentioned even in the prize citation. The Nobel Committee also ignored other physicists, like Tom Kibble, whose research laid the foundations upon which the LHC’s experiments were designed. Finally, 2017 marks the 54th year since the Nobel Prize for physics was awarded to a woman. In 1963, Maria Goeppert Mayer was awarded the prize for proposing the nuclear shell model. The only other woman to win the prize was Marie Curie, in 1903. This year is also the 50th anniversary of the discovery of pulsars – made by Jocelyn Bell Burnell, but the Nobel Prize for which was awarded to her supervisor. Given all these reasons, the question arises: Why is the Nobel Prize (for physics or otherwise) still considered prestigious? There’s no doubt that it is. The list of physics laureates are all distinguished scientists, so winning one is an opportunity to get onto an exceedingly unique and accomplished list of scientists. But it also entrenches the deleterious myth of the ‘lone genius’. Moreover, there is no way to guarantee that good research – even fantastic research – will be sufficient to get one nominated, or even rewarded. In the first half of the 20th century, numerous scientists made important contributions to the birth of quantum mechanics. However, the Nobel Committee could only acknowledge the contributions of a few because of its self-imposed limitations.